As far as community bankers are concerned, the road to Dodd-Frank was paved with good intentions, but it wound up in the same place as every other highway built from those materials. In its zeal to respond to the 2008 financial crisis, the bankers say, Congress didn’t consider the onerous regulatory burden that parts of the Dodd–Frank Wall Street Reform and Consumer Protection Act would place on smaller banks. After the election of Donald Trump as president and the GOP-dominated 115th Congress, however, community bankers and industry officials are optimistic about the chances for meaningful change. Wayne Abernathy, executive vice president for financial institutions policy for the Washington, D.C.-based American Bankers Association, expects a different emphasis from the Trump administration. “We think growth and economic development is going to be the big theme going forward, frankly, from now and throughout the administration,” he says. The Obama administration had “an almost exclusive focus on safety, making sure the bank has lots of capital, making sure their loans are ironclad,” Abernathy says, but it failed to take into account how those regulations impacted banks’ bottom line. Now that banking safety is stronger, it’s time to look at measures to increase growth, he says. That’s a common complaint among smaller local banks. Having to devote staff and costly resources to compliance has in some cases driven mergers and acquisitions among community banks because “you need a certain scale to have the right sophistication level and asset bases to spread your [compliance] costs,” says John Depman, national leader for regional and community banking for the financial tax, auditing and advisory firm KPMG. In KPMG’s 2016 annual survey of community bankers, the majority of respondents estimated that compliance costs accounted for 5 to 20 percent of their budgets. While that’s a sizeable cost, Depman says, it also may reflect a new normal for banks. What will change look like? What regulatory relief could look like and when it could arrive is a topic of debate. Repealing the entire Dodd-Frank law, however, would be virtually impossible because of its scope and complexity, Fishe says. 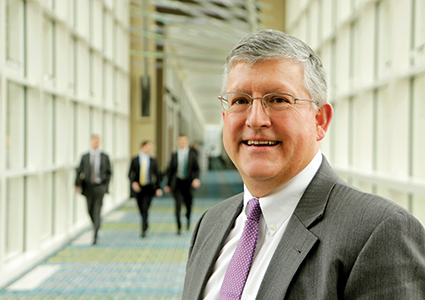 Yeakel with the Virginia Association of Community Banks sees some core regulatory reforms that are needed first, including exemption from regulations governing capital requirements and lessening restrictions on mortgage qualifications. Additionally, Yeakel and others say that reform is needed to create a level playing field with credit unions, which unlike community banks, don’t pay federal taxes. Regulators have allowed the credit unions to expand their customer base and services to the point they have become real competitors for community banks, he says. 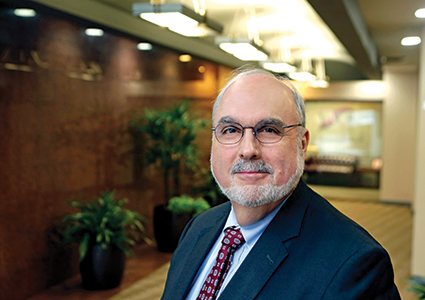 There are pieces of legislation already in the pipeline such as the Financial CHOICE Act or the TAILOR Act of 2016 that could provide necessary, common-sense regulatory reforms for community banks, says Jeffrey M. Szyperski, president and CEO of Chesapeake Bank. A lot, however, still depends on bipartisan cooperation. Senate Republicans don’t have the 60 votes necessary to end debate on a bill they want to pass. Additionally, some lawmakers on both sides of the aisle view Dodd-Frank as “sacrosanct,” he says. In fact, some relief already arrived before the end of 2016. The length of quarterly call reports that banks have to file was reduced from about 90 to 60 pages. That development occurred as part of a regulatory review process conducted every 10 years by the FDIC, the Federal Reserve and the Comptroller of the Currency in compliance with the Economic Growth and Regulatory Paperwork Reduction Act. The most recent review ended in 2015, and regulators began implementing and recommending reforms in late 2016. Adding to the momentum for reform is the fact that Trump this year likely will appoint a new FDIC chairman as well as a new comptroller of the currency and “there’s going to be a different mindset for the people who are going to be leading these agencies,” says Abernathy with the American Bankers Association. Additionally, groups such as the American Bankers Association will push for changes such as giving community banks more leeway in making mortgage loans to customers who are good credit risks but may not qualify under the current regulatory environment.